Family Film Screening is just 1 week away! The year is passing by so quickly... It's just about time for our Family Film Screening! We get to showcase all that's GOOD with teens and demonstrate what's possible for youth from virtually any background when given access to resources and caring adults. Can you think of anything more exciting than a young person to see their work on the big screen? We'll also donate tickets to local shelters, youth, and community organizations so they can enjoy an afternoon at the movies without having to worry about cost. Sunday, June 22 @ AMC Hamilton Theatres. Doors open at 3 pm. In addition to the original short film and tv segments, we'll highlight our service leadership efforts, then say thanks to our dedicated, committed team of volunteers and new partners. With Former Philadelphia Eagle Reggie "Truck" Brown returning to host the show, everyone is in for an afternoon of great fun! May 18 -- Tickets go on sale for our Spring Film Screening sponsored by Comcast in collaboration with SCRA - Society for Community Resource & Action and The College of New Jersey. It's the exciting day that we get to showcase completed projects of Beyond Expectations students and highlights from our day-of-service projects throughout the year. 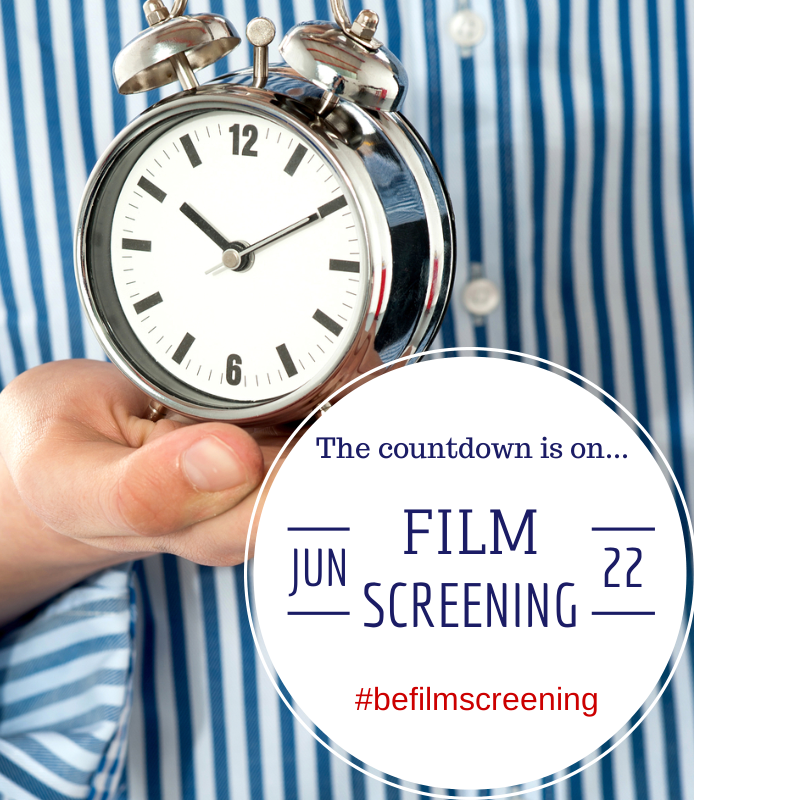 The screening will be held on Sunday, June 22 at the AMC Hamilton 24 Theatres. Doors open @ 3 pm. Individuals - tickets for adults can be obtained online now. Kids and students are free. When you arrive, be sure to stop by the concession stand, grab a Kids Combo, then grab a seat and enjoy the show! Sponsors -- free tickets will be donated to a local shelter or youth organization as well as complimentary event tickets provided for up to 10 employees, company logo on event signage, opening and thank you film credits during the screening. Contact us at beyondexp1@gmail.com for more information. Bridgewater, NJ -- We're rarely surprised but always pleased to cross paths with youth and help them uncover their hidden skills and talents. The same held true yet again during our Weekend Retreat in Bridgewater, New Jersey with a group of phenomenal young men (ages 18-21). What is typically taught over a series of 5 sessions was condensed into an intensive training which spawned creativity and split-second decision making. After learning the basics of film production, the group worked collaboratively to develop a concept for their own original project, storyboard, shoot, act in all of the roles, and lay down a few tracks for post-production. Special thanks to our awesome crew, guest facilitators, and volunteers from Comcast and The Princeton Theological Seminary. 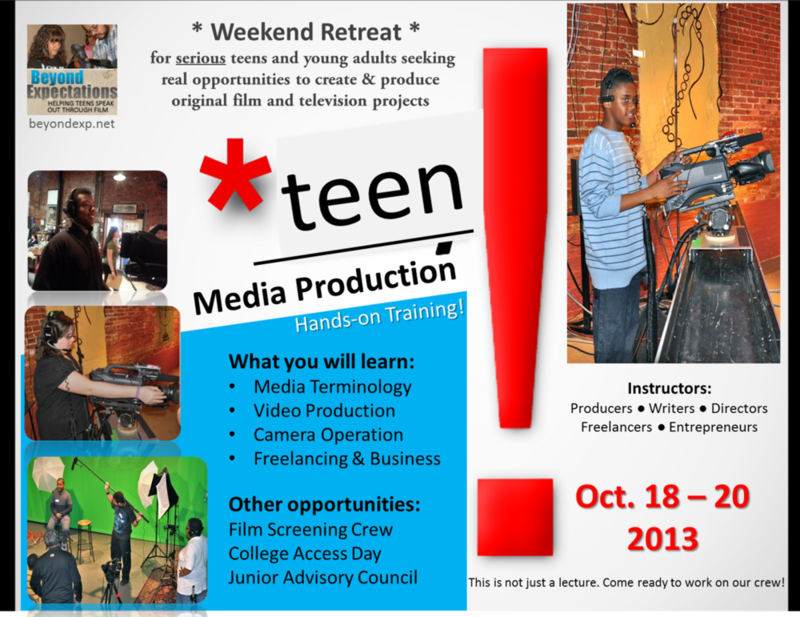 In addition to our 5-session media production programs, Beyond Expectations also offers intensive one-day 'speedcrewing' workshops and weekend retreats for organizations interested in youth programs within a condensed timeframe. Adobe Youth Voices is a philanthropic effort of the Adobe Foundation intended to empower youth and educators through media making experiences that promote social change. As a part of this effort, the Adobe Youth Voices Aspire Awards celebrates the extraordinary work of young media artists from around the world by recognizing top talent in media production. 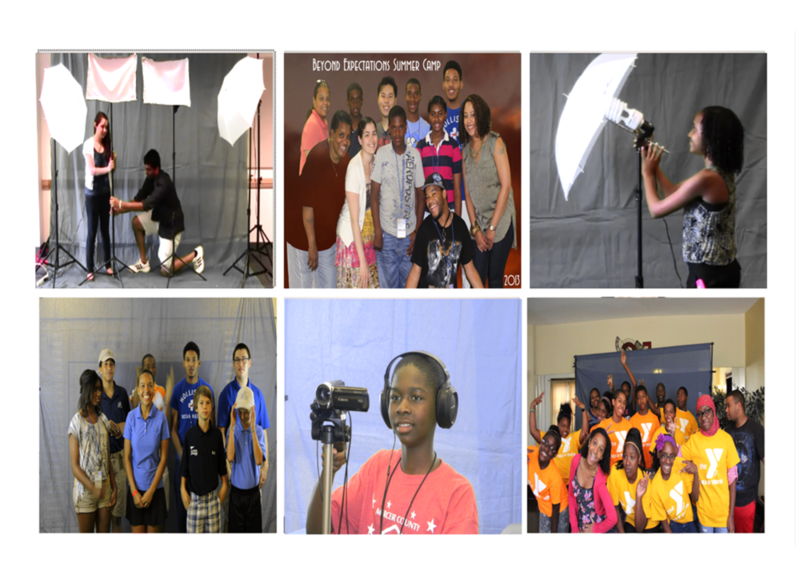 Bordentown, NJ — Youth from the Trenton YMCA completed a live taping at Riverview Studios of original segments they created in the Beyond Expectations Television Production (BETV) Program. Students are members of the Leaders In Training and Pathfinders programs which help prepare middle school youth (ages 12-15) for the challenges of leadership. In addition to working as talent on the set, students served on the crew as Camera Operators, Floor Managers, Audio Assistants, and Audio Mixers in the control room.